Dorset HealthCare is celebrating the 10 year anniversary of its popular and ever-growing Steps to Wellbeing mental health service. Dorset has been chosen to help lead a national drive to develop volunteering programmes in support of the NHS. Staff at St Ann’s Hospital, in Poole, have come up with a novel way to support people struggling with mental health issues, and help them get their lives back on track. The future of one of Dorset’s most successful mental health services is looking bright after it was awarded a new contract by NHS England. Two public drop-in events in Bridport will outline how the relocation of some NHS day services to Dorchester will help reduce waiting times and improve services for patients. Care for women dealing with mental health issues before and after childbirth is set to improve significantly thanks to a state-of-the-art perinatal mother and baby unit planned for Poole. A dedicated team of community support workers has been set up to provide short term care to frail and vulnerable people living in the most remote parts of North Dorset. Tireless work to improve the lives of Dorset’s military veterans and serving personnel has earned Andy Gritt an MBE in the New Years’ Honours List. Dorset HealthCare has been rated as one of the top four NHS trusts in the country which are providing an extremely high level of care for people with mental illness. Andy Willis, Chair of Dorset HealthCare, has announced the appointment of Eugine Yafele as the Trust’s next Chief Executive, following approval by its Council of Governors. Detaining people under the Mental Health Act is a big responsibility and Dorset HealthCare needs empathetic, hardworking local people to ensure they only do this in the appropriate cases. 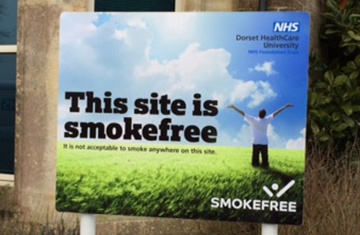 Dorset HealthCare is completely smokefree in a bid to promote and support good health for our staff, service users and their families/carers. Find out about our smokefree campaign, and what a smokefree Trust means for everyone. If you wish to share your views and experiences, positive or negative, you can get in touch with our Patient Advice and Liaison Service (PALS). Advice for carers and how we can help you caring for your loved ones. Whether working in busy urban locations such as Bournemouth, Poole and Weymouth or serving residents in rural areas, our 5,000-strong workforce is at the heart of what we do.